Lucky Hippo is a funny looking online casino that comes with all the usual gambling benefits that can be appreciated by many players. If you care to join its program, then you are most certainly welcome to sign up via its official webpage, which is also where other important details can be found. This bodes well for the viewers who are aiming to try playing those casino games for the first time, as there is always plenty of them to choose from at the LuckyHippo casino. 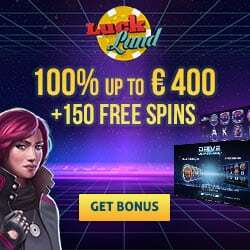 This stunning website has all the hottest online games and so much more, but you can only discover that if you take the time to register and play some of the games that its going to provided you with. There are a few things that everyone must understand first: only adult players, as in those who are at least 18 or 21 in this particular instance, will be able to enjoy the things that are offered by the following service. The Lucky Hippo casino is powered by Rival software; a visionary studio responsible for creating many of the online classics. And there are lots of those if you know where to look, especially if you find yourself in need of a quick spin or maybe several even, because the fun never seems to end at the LuckyHippo. The lobby is open 24/7/365, so check in every now and then – to see what new games the online casino has added to its current roster. Aphrodite, Plunk Oh, Lucky Labyrinth, Diamond Dragon, Wishing Cup, Thunderbird, Megawins, Rise of Poseidon, Windy Farm, Champs Elysees, Catsino, Frogged, Tycoon Towers, Pistols & Roses, Diamond Dazzle, Star Jewels, Diamond Cherries, and many more games like these slots will bring a whole lot of spinning to the table. This online casino accepts credit cards like Visa and Mastercard, which can be used for either deposits or withdrawals. Check for more information and recent news – available on the official website of this casino.